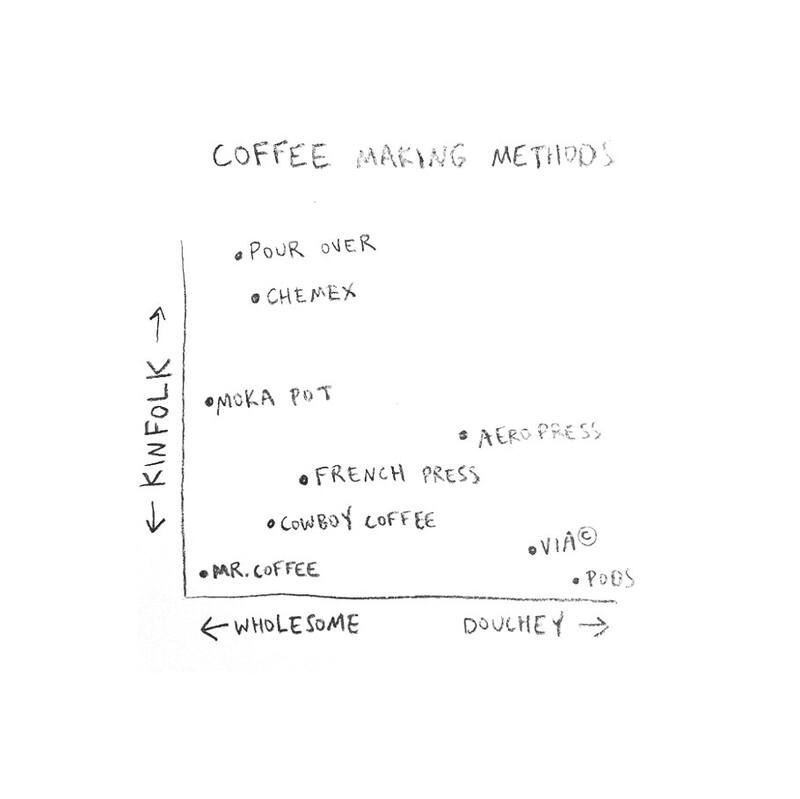 Every Friday, I feature an original chart by Anne Parmeter, an amazing artist & fellow Portlander whom I connected with on Instagram (and whose birhtday was this week - Happy Birthday Anne!). Here’s today’s. Our week has been pretty eventful (for both good and less good reasons) so we might gonna take it slow and focus on self-care. These 25 Ice Breaker Questions are all I need to not be too awkward at parties. Make your own Oat Milk. Can you imagine wearing every piece of clothing you own? Talking about clothing, did you see my feature on The Good Trade? I had the chance to listen to photographer Pete McBride speak at an event this week and was fascinated by his stories about watersheds. This week, I'm reading this playful and poetic book. The roads are very icy around here. Make sure you drive safely and carry a Roadside Emergency Kit. What a great concept! A Zero Waste Quilt Box! I can't wait for Deign Week PDX, especially this event (girl power!) and that one (yep, I'll be on the panel!). Are you a good Dinner Guest?